I’ve been a fan of june1777’s flickr photos for almost a decade now. 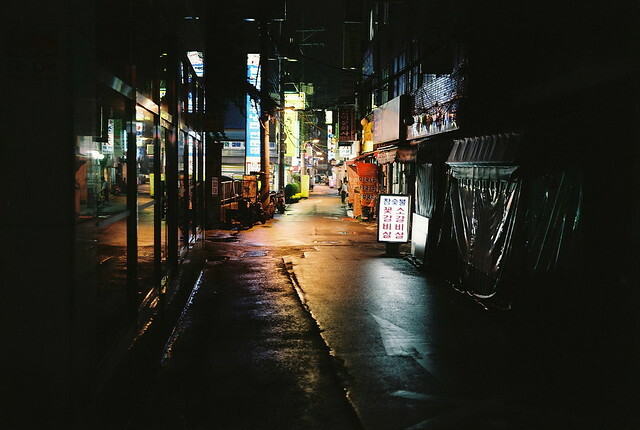 He has an uncanny ability to spot and capture scenes where there is roughly equal distribution between light and dark, a yin-yang of sorts, and doing so in a way that is often striking and beautiful .. but not intentional. 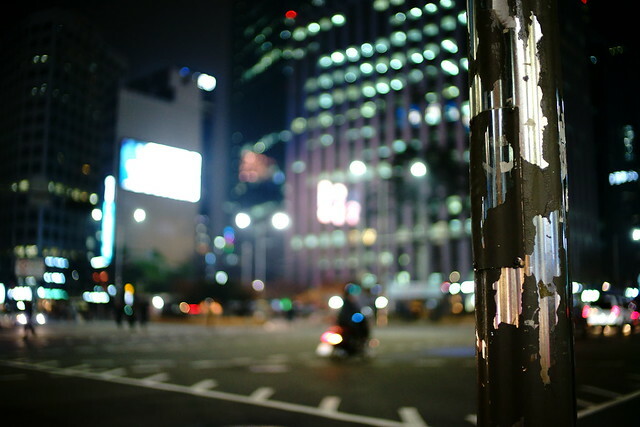 He’s a fan of fast prime lenses shot wide open, often wandering the streets of South Korea after dusk, letting the juxtaposition of the glow from the evening sea of lights settle in against the urban landscape. I find myself inspecting not only his images but what I could glean from his choice of gear and settings used. I thought it would be a good exercise to attempt to grab whatever exif data I could via the flickr API and analyze june1777’s photo data en masse. Below are the results. Note: Unfortunately I lost the part of the code where I did the actual grabbing of the data. The short of it though is I used Alexis Mignon’s most excellent flickr-api python module to grab whatever exif data was available for each of june1777’s photos. I saved the data for each photo as a dict, which was then appended to a list of photos. I exported the whole thing as a json file and that’s where I pick up from below. Also worth noting a little more than 40% of his photos were film scans. Drop the Fuji film Scanner (SP-3000) and the ‘QSS’ scanner which won’t contain any EXIF data. How many columns are we dealing with? What kinds of cameras are in use? Which ISOs are most often used? This is a tricky one since the ISO scale isn’t linear as per the below list. Rather they are more logarithmic in nature. 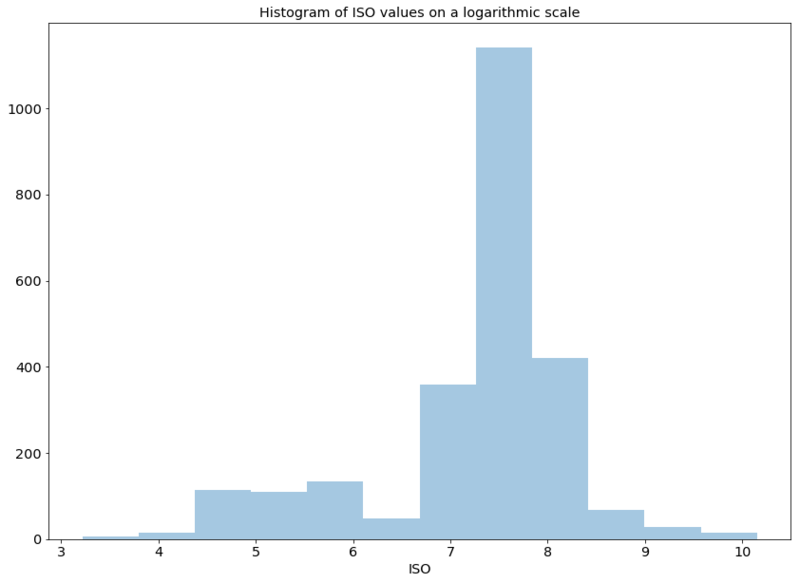 One approach here would be to create a histogram of the log of the ISO values so we can get a sense of the distribution across a linear X axis. Cool, it looks like there’s heavy usage in the mid “7”s but what does that translate to in actual ISO? # Setup custom lambda to return actual ISO value for input. get_iso(7) would return 1096. We can easily see that the most frequently used ISO looks to be ~1600 which we can confirm with the chart below. We now have a nice chart of shots taken over the years. Let’s create a heat map to make it easier to visualize. As one would figure there is much less activity during the winter months which isn’t too surprising since june1777 is an outdoor photographer. October seems to be his active month with a particularly busy one in 2014. Wonder what happened then. We also see a flare-up of activity in January of 2018. Maybe a dose of inspiration. 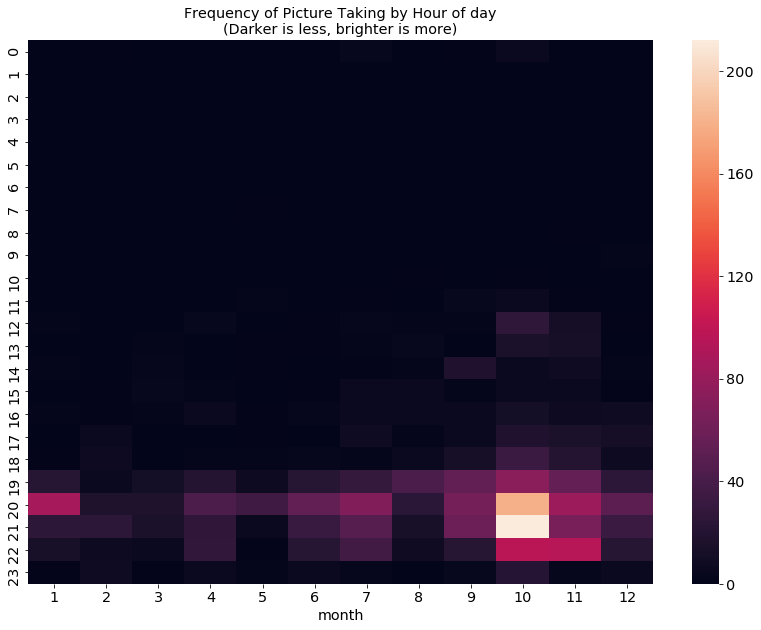 Frequency of pictures taken by hour and month. Notice the hours of 1-6 AM are missing since he was probably sleeping then. Let’s fill this in so we get a comprehensive view. 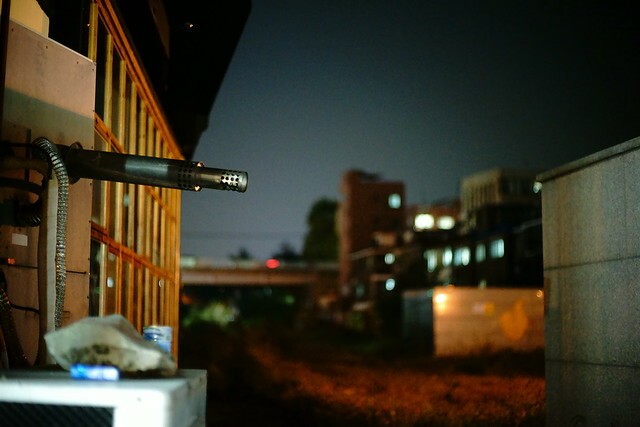 And we see lots of evening shooting. Again, not surprising since much of his work takes place at night especially between 8 and 9PM. I suspect the flareup we see in October is probably the 2014 jump we saw in the previous graph. Let’s try something different. 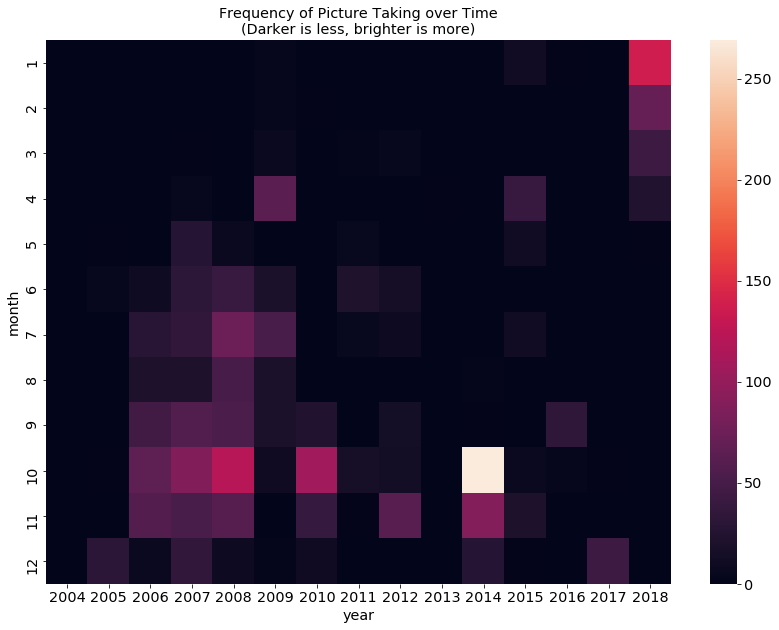 How about we try to map the use of camera models over time. First let’s see if there are any infrequently used models we can drop. I’m not sure what those models that have only numbers in them are but prob safe to drop them.